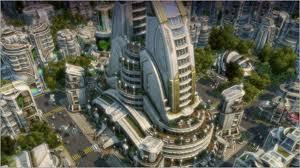 Recently, I got back into Anno 2205 which is the latest game in the economic strategy series from Blue Byte. The game is more notably known for streamlining a lot of the game down to its basic systems. While I enjoyed the game and love titles built around optimization, I can’t help but feel that the developers messed with one of the most important draws of game design built around optimization. Optimizing in strategy and RPG titles is the act of figuring out the absolute best way to get the most out of your character/army/city/etc. The allure of city building is all about making your city run like a well oiled machine and figuring out how to get that to work. When we talk about optimization, we’re also referring to “min/maxing:” Using the numbers and mechanics in the game for absolute benefit. This is where we see RPGs get into the low-level thinking about figuring out maximum potential from the game’s formulas and rules. For some, the act of min/maxing is where the game becomes the most exciting; for others, it’s where the game comes to an end as there is nothing else left to discover. For strategy games such as the Anno series, min/maxing is a critical part of figuring out the game and growing your cities to their limit. And the same can be said of the latest Anno game; featuring multiple climates, production chains and things to juggle. Yet, the more I peer behind the curtain, the less I like about Anno 2205 compared to previous games in the series, and the reason has to do with what optimization means to the person playing the game. Optimizing in series like Anno is all about pouring over every detail of your city and production chain. You need to figure out how to get the most out of buildings based on their production, placement and cost. Previous titles allowed you to go further with the ability to modify structures and set up complicated trade routes between all the different parts of your area. When it works and all the moving parts are working to their most optimal, there is that feeling of satisfaction that you can’t get anywhere else. The critical part of this is the fact that the player is the one who has to figure things out. Despite the fact that you are optimizing based on numbers, there is still learning and player decisions to be made. 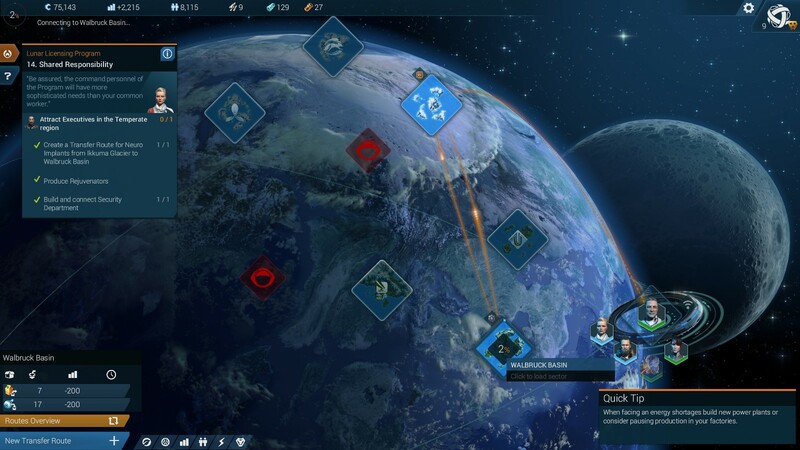 What ruined Anno 2205 for me is the fact that the developers have stripped the decision making process out of the game. Resources are moved instantaneously around within a single map, buildings only operate under set parameters no matter where they are located; basically, the choice and player input has been removed from the game. Instead of being able to enjoy your production chains and what you put into making sure everything is running right, now, it’s all been reduced down to simply watching your current resource per minute rating at the top of the UI. Instead of having that feeling of joy of building the perfectly run organization, I’m just plopping buildings down anywhere just to keep the ever growing number of plates spinning. Even though that is the same thing that you do in previous games, there is no decision making or player-made way of impacting things. I felt like I was playing a clicker game instead of a strategy game; there is no choice or input, the game just needs me to push buttons to make things happen. What makes games built around optimization intriguing is how the player can go back and make changes and rewrite their previous plans and designs. In previous Anno games, once you got access to higher tier structures that could do more, you could get rid of less optimal structures and change things around. 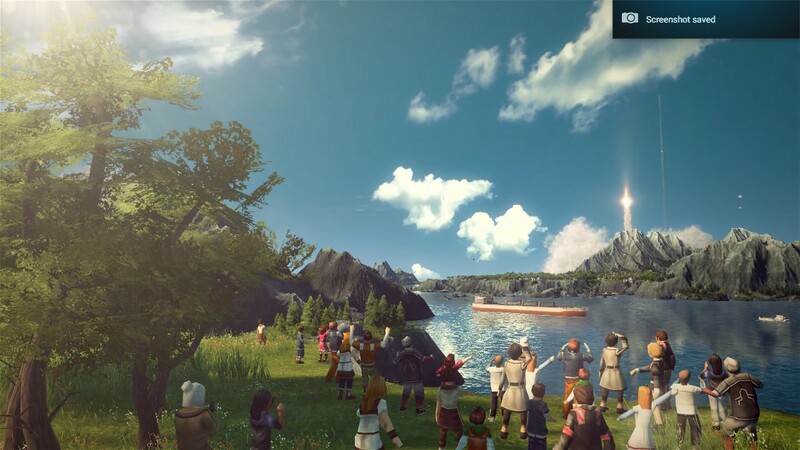 With Anno 2205 however, there are no different buildings with exception to power; again, forcing you to repeat the same steps over and over again with the only measure that you’re doing good is the credit balance. A counter example would be Big Pharma and how it allows the player to constantly retool their assembly line with different arrangements, machines and ingredients to produce the best medicines the player can make. The difference between a clicker game and a strategy game is all about what the player is actually doing. When the entire process of gameplay is simply a binary act of pushing buttons or don’t, then there is no thought process or actual involvement by the player going on. But when the player is actually looking at what they have set up and actively thinking about how to make it better, then that’s where the strategy behind optimization comes into play. One of the hardest things to do in the previous Anno game was building a corporate HQ. This required a lot of resources, planning and one of hell of a production chain. I was able to do that and felt very proud of myself for getting it all figured out. And yet, I have no desire to take things further in Anno 2205; I’ve clicked enough buttons and watched enough numbers go up and down. Despite the almost mechanical nature and thinking that goes into heavy optimization, there still needs to be player involvement. If I can literally get up and walk away and let the game play itself, then why is the player even a part of the process of the game?